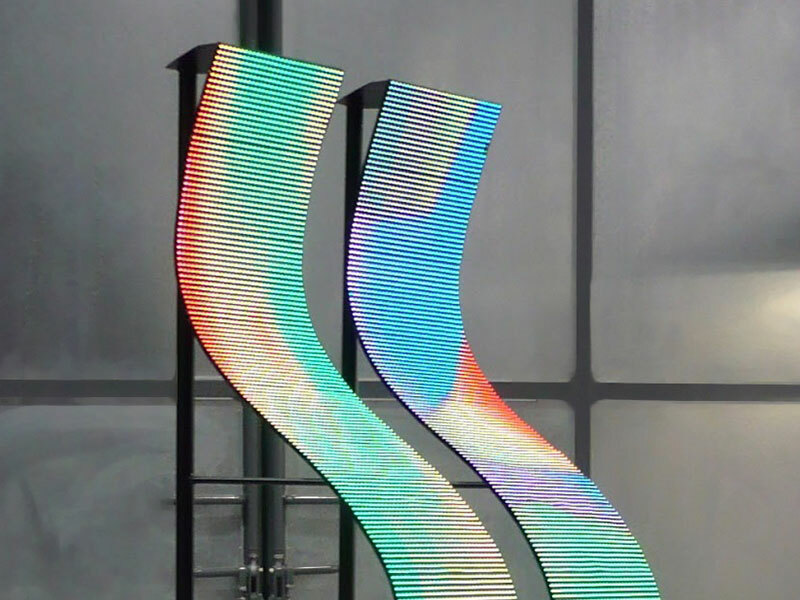 Flexible video panels are a very simple device meant for a number of various solutions to create video surfaces of complex shapes. 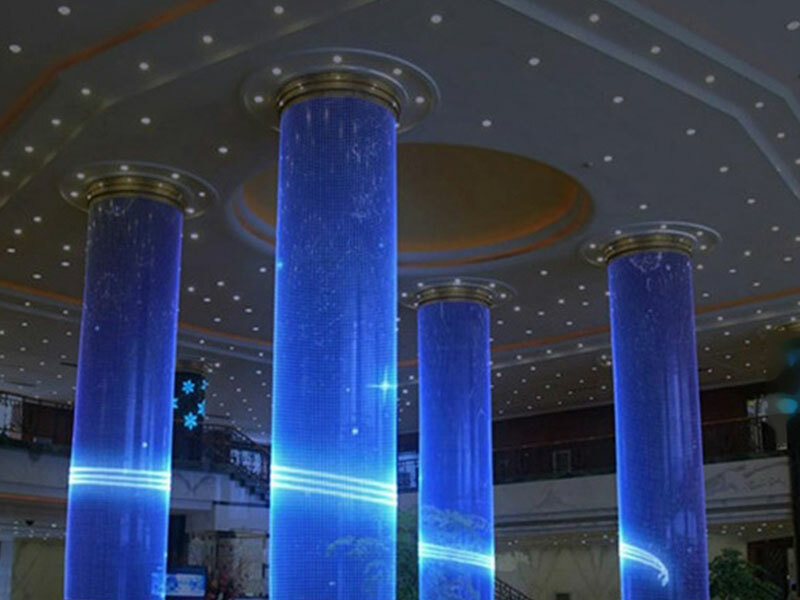 The panel is only 10 mm thick and can be rolled up for easy transportation. 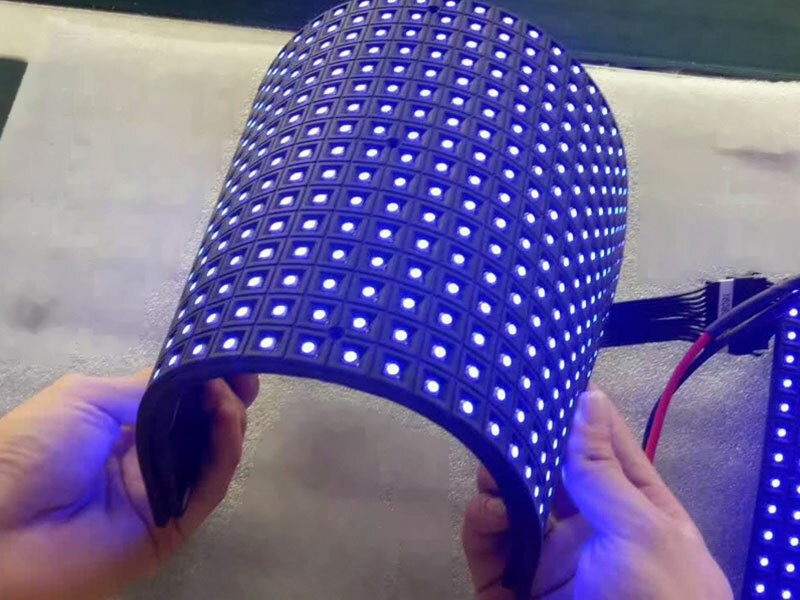 The thin and lightweight but solid and flexible LED displays will become an indispensable tool for decoration and for the transmission of any information. 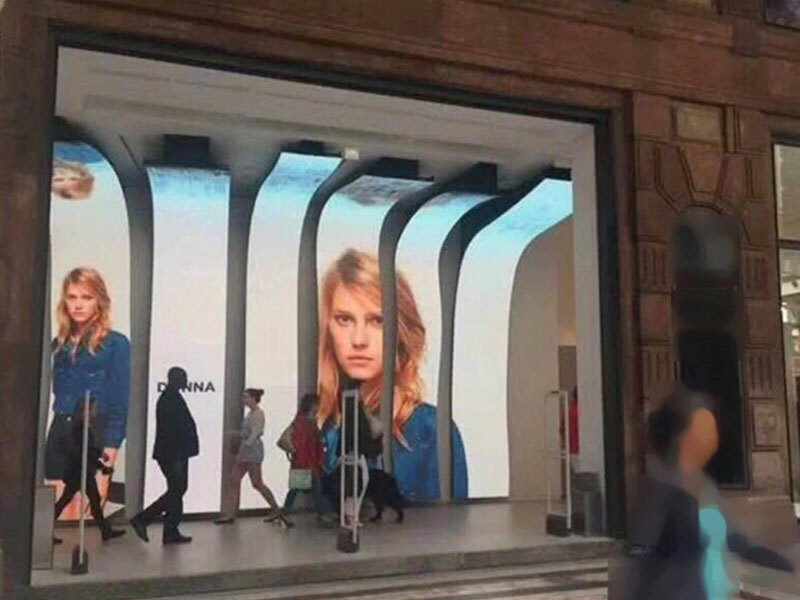 They immediately attract the attention of passers-by even if installed on the dullest and most unnoticeable building. 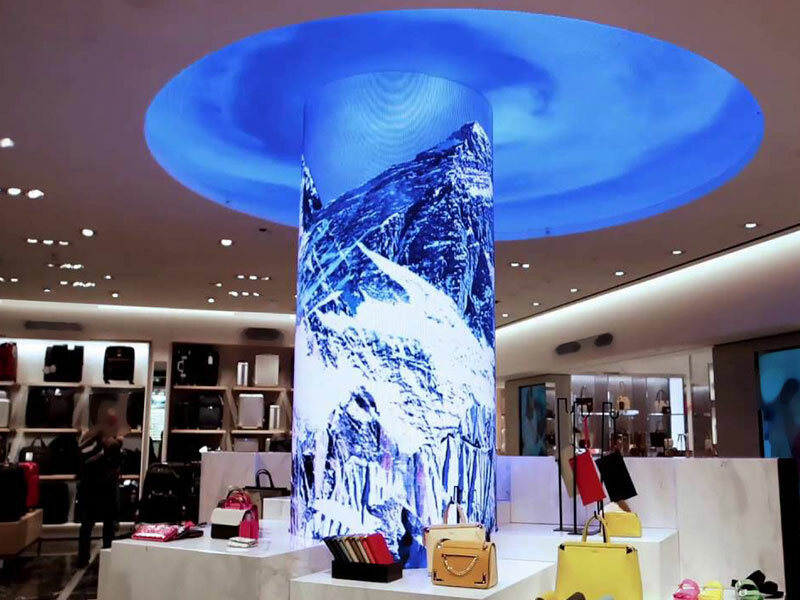 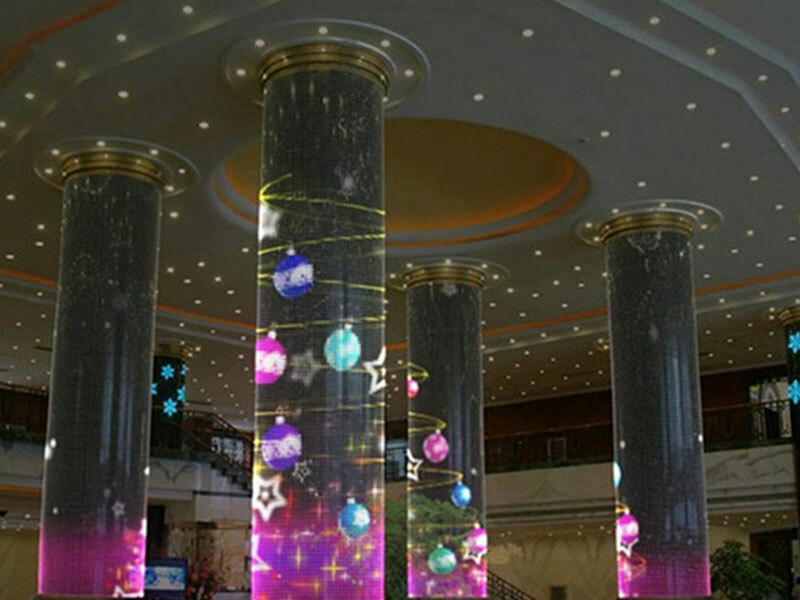 Flexible LED panels can be installed indoors or outdoors, which gives unlimited possibilities to their use.